Here’s the perfect Mother’s Day gift for DIY loving moms! Hurry over to Amazon.com where today only you can snag the Cricut Explore One Mother’s Day Bundle for just $164 with FREE shipping! 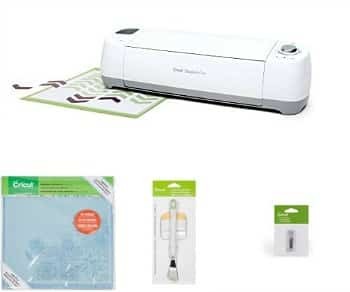 This bundle includes the Cricut Explore One Cutting Machine, a 12 by 12 Cricut LightGrip Adhesive Cutting Mat, Replacement Cutting Blades for Cricut Cutting Machines, and Cricut Tools Craft Spatula and Scraper. Great features, great quality – must have for paper crafting! She said it is wonderful.